Shimbashi is known as the salaryman district, and is chock-full of serious, suited men going about their business in the daytime. At night, it transforms into a neon-lit conflagration of restaurants and less than wholesome entertainment options. But this is very much in keeping with the historical nature of Shimbashi. 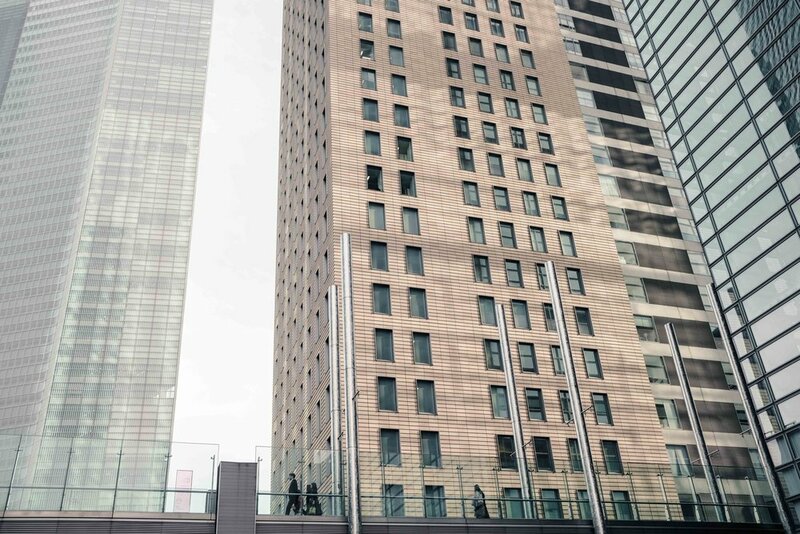 It was known as the ‘Gateway to Ginza’ and as a commercial district, was spearheading the country’s new-found modernity towards the end of the 19th century. Numerous manufacturing companies sited themselves in the district as well. Today, Shimbashi Station is pretty old and not very picturesque, although there is a famous strip of small restaurants under the JR train tracks known as Gado Shita. Here you’ll find yakitori aplenty, but things only start to heat up at night. 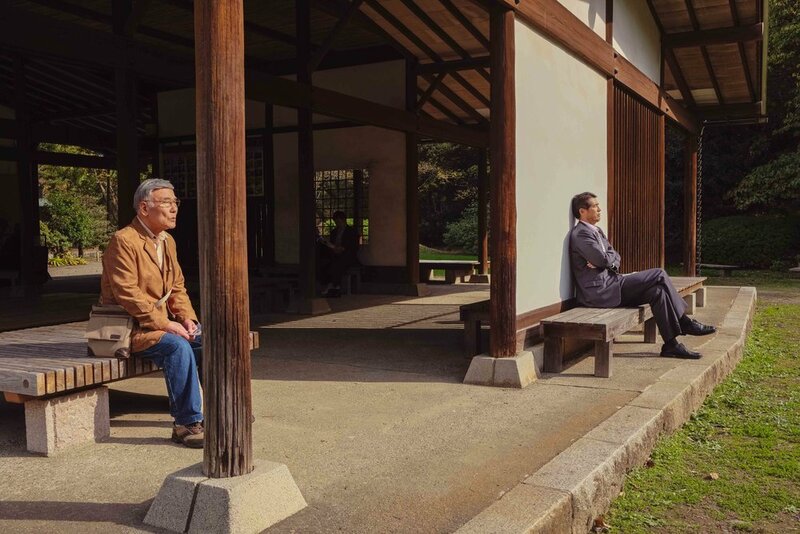 During the day, take a fifteen minute walk from the JR station to Hamarikyu Gardens. It ain’t free, but it is very prettily landscaped and is a literal oasis in the midst of a bevy of business buildings. Close by the park is the facade of one of the very first examples worldwide of capsule architecture. The Nagano Capsule Apartment Building is now, unfortunately, boarded up, but it’s still worth stopping for a shot. There aren’t many museums in Shimbashi, but the Panasonic Shiodome Museum (ticketed) is a must visit if you’re specifically into the paintings and print works of the 20th century French painter Georges Rouault. Or, you could visit the very delightfully named Water Supply Pipe Inlet Museum. I’m sure you’ll have a bevel of a time. 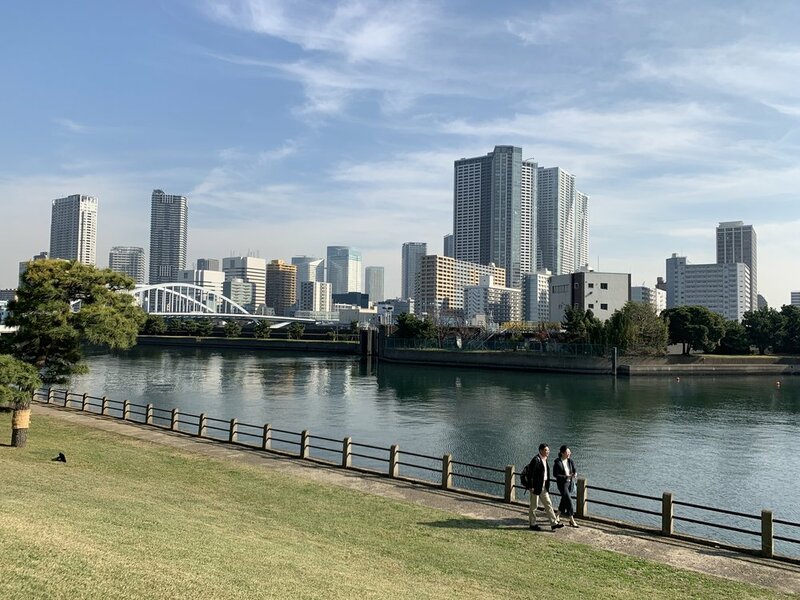 My tastes run far more conventionally, from looking for a highball bar to hanging out in the business district, where there are plentiful photogenic opportunities of the Japanese as they go about their daily commute. 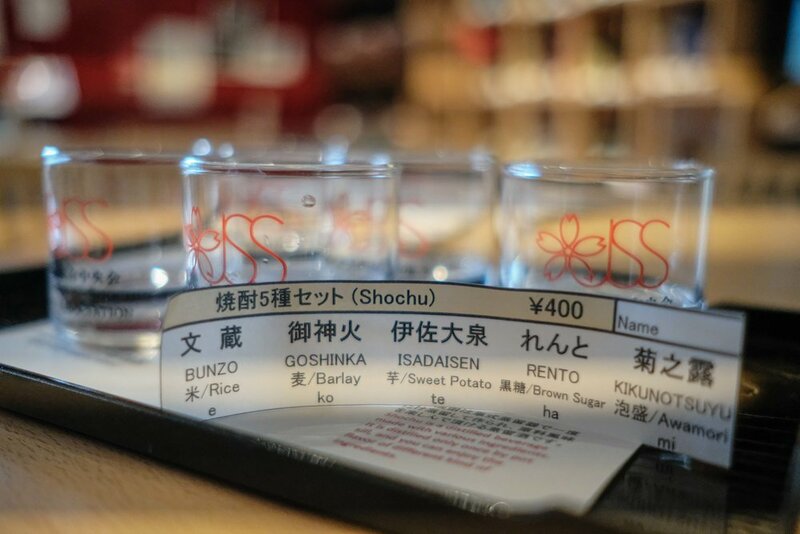 And if you’re feeling thirsty, the Japanese Sake and Shochu Information Centre will clear all your doubts about sake and shochu with very affordably priced tasting flights. Do eat something before you go, though, the shots hit really quickly!